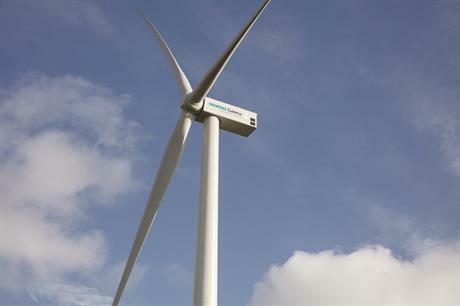 UNITED STATES: Siemens Gamesa Renewable Energy has unveiled the new SG 2.7-129 onshore turbine in a bid to grow its market share in the US. The manufacturer is targeting sites with medium- to low-wind conditions in the US with the new model, the company stated. Its new 2.7MW turbine features a 129-metre rotor with a swept area 16% greater than that of its predecessor, the SG 2.6-120. Siemens Gamesa also claims it will have an annual energy production (AEP) level 8% higher than that from the SG 2.6-120. The SG 2.7-129 has a nameplate capacity of 2.75MW and also comes with a power-mode option to boost the turbine's output, a Siemens Gamesa spokesperson said. Blades for the new turbine will be made at the company’s factory in Fort Madison, Iowa — where it laid off 195 "hourly" employees last month — while its nacelles and hubs will be assembled at a factory in Hutchinson, Kansas. Production is set to start in early 2019, Siemens Gamesa said. Siemens Gamesa installed just under a quarter (23.16%) of turbines in the US last year, behind Vestas (35.36%) and GE (29.45%), according to figures from AWEA.